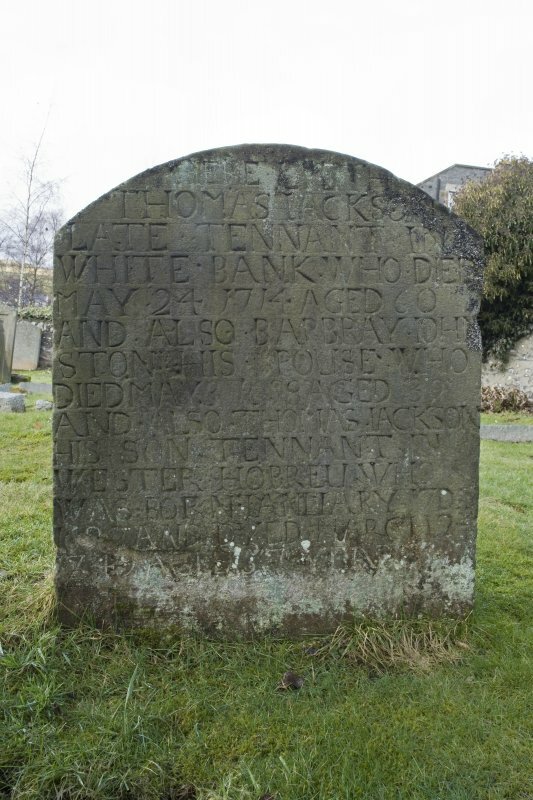 View of gravestone with initials 'W. 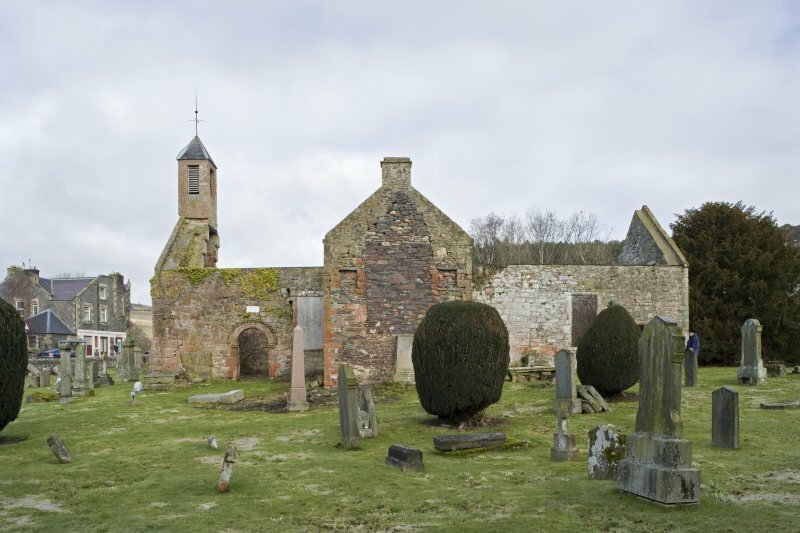 G.', in the churchyard of Stow Old Kirk. 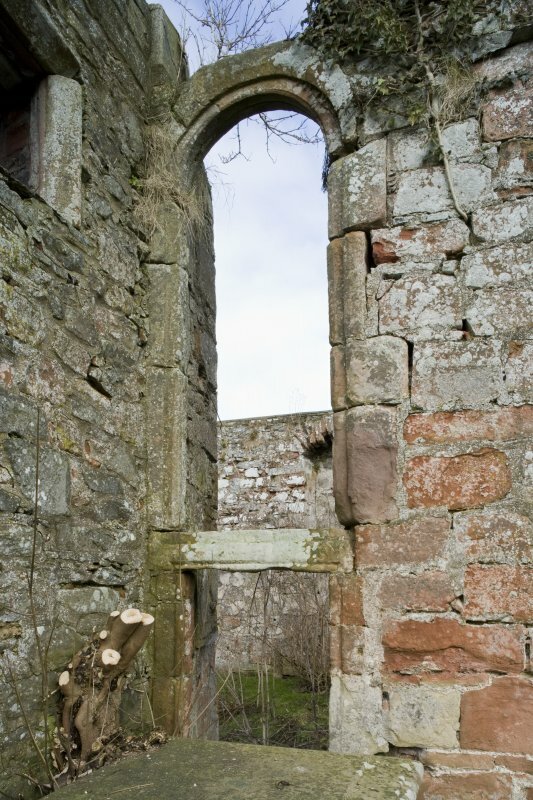 Detail of window beside S aisle. 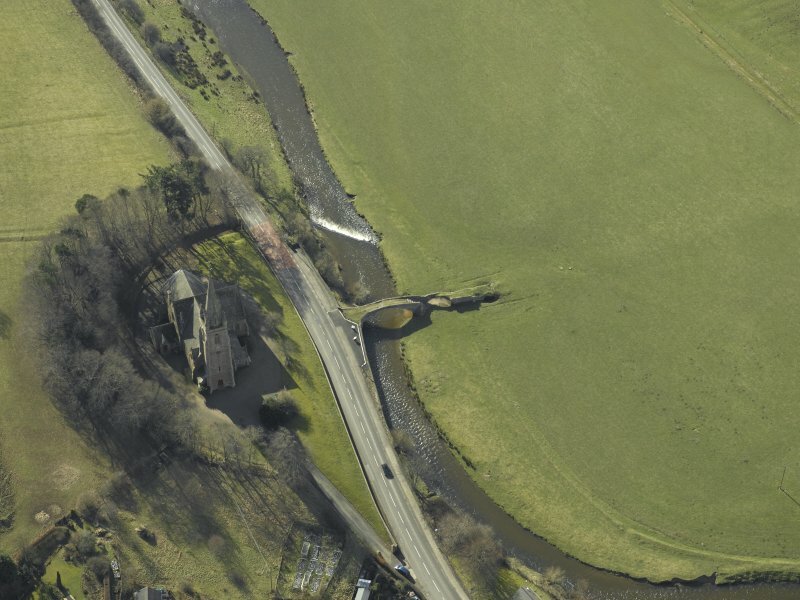 Oblique aerial view centred on Stow Kirk and Old Stow Bridge, taken from the NE. 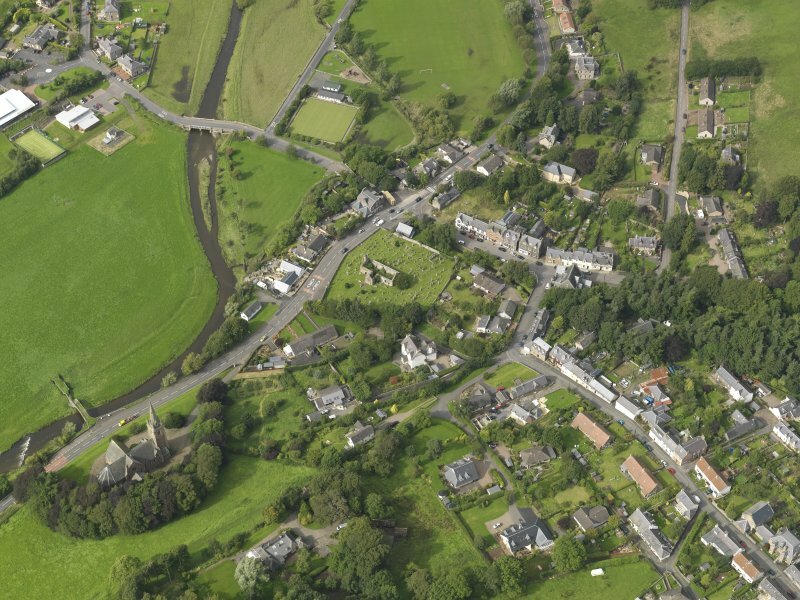 Oblique aerial view centred on Stow Kirk and Old Stow Bridge, taken from the SSW. 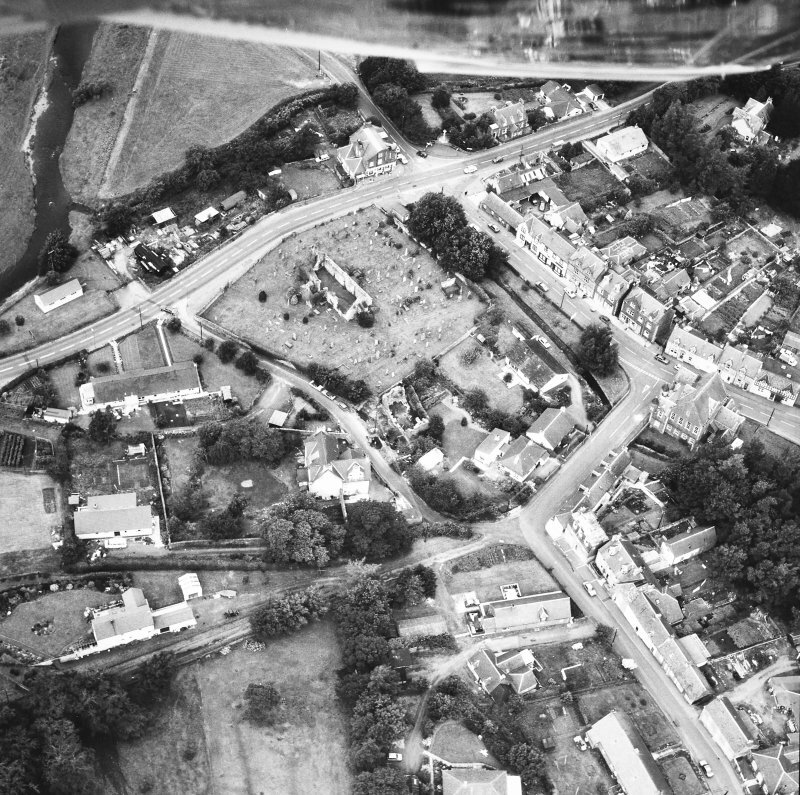 General view from SW showing location in village. 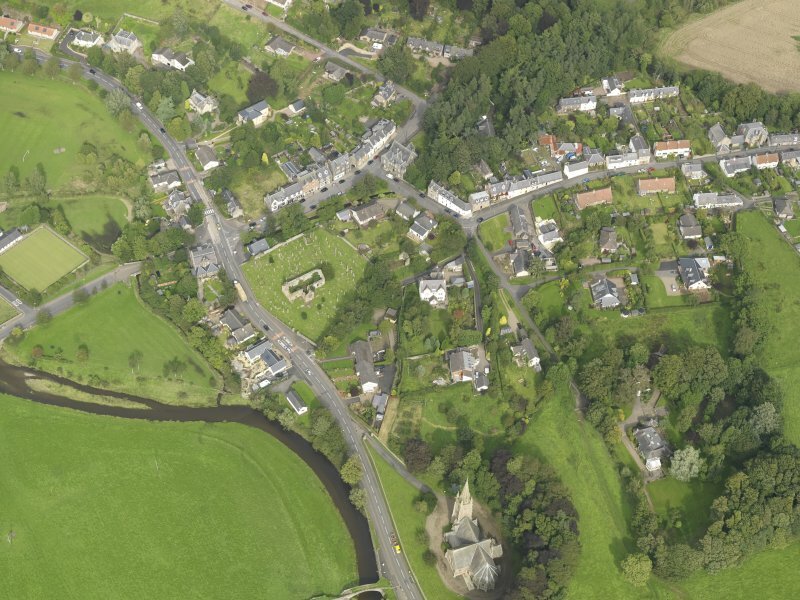 Oblique aerial view centred on Stow Kirk and Old Stow Bridge, taken from the N.
View of gravestone with initials 'W. 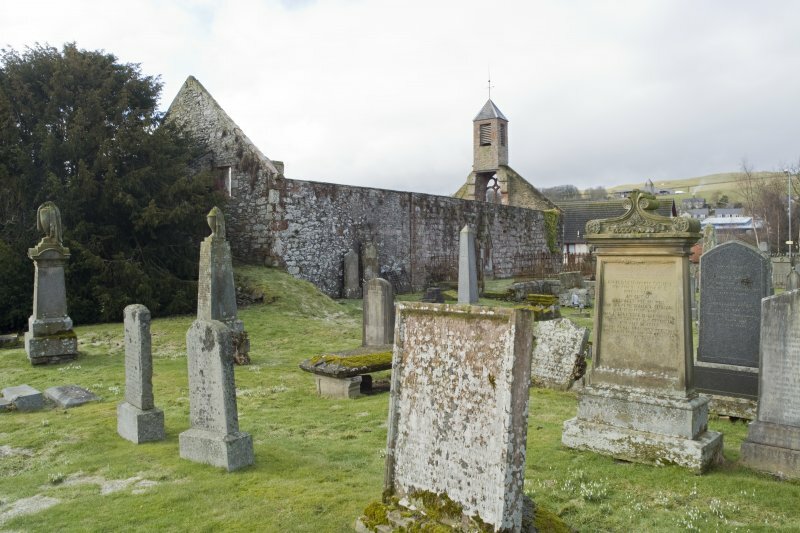 G.', in the churchyard of Old Stow Kirk. 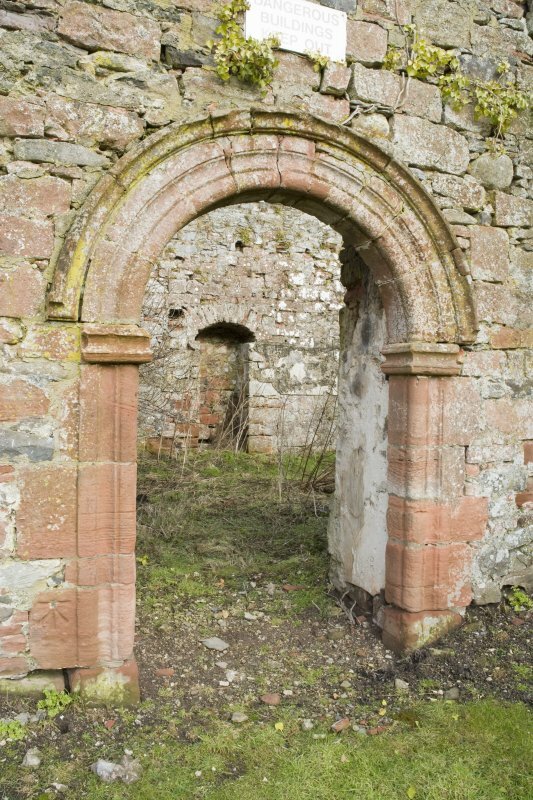 View of round arched entrance. 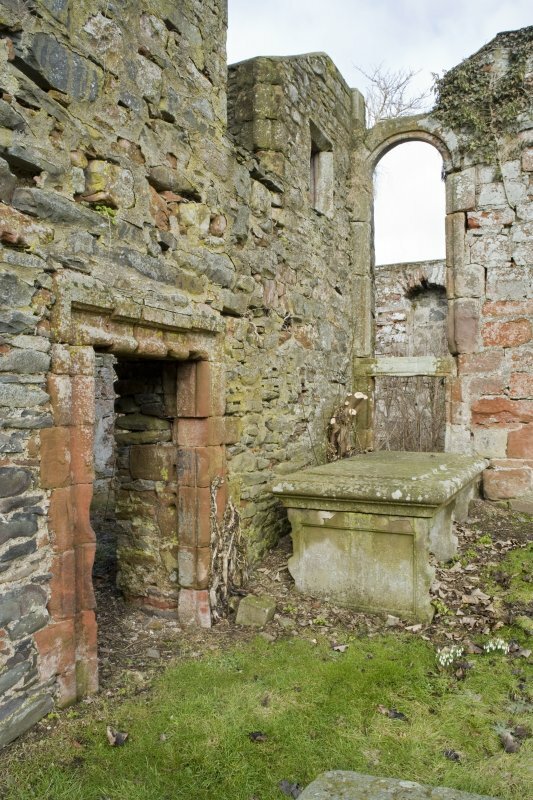 Detail of join of S aisle to Chancel. 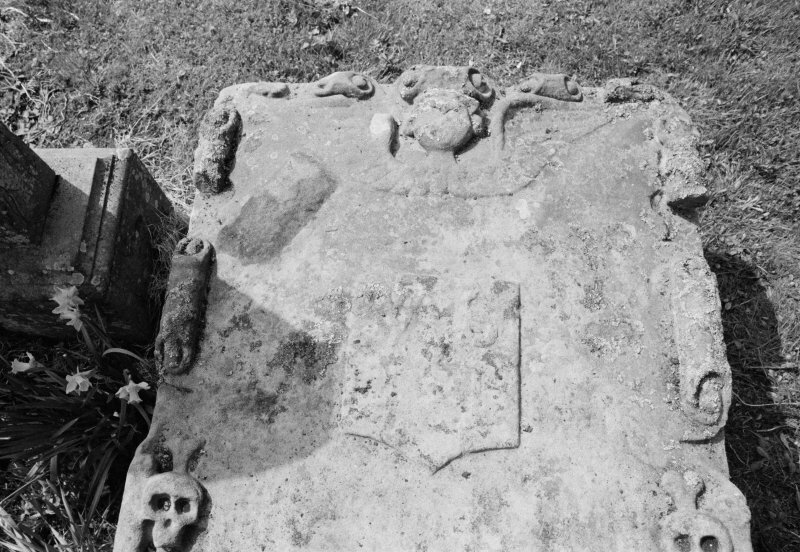 with table gravestone. 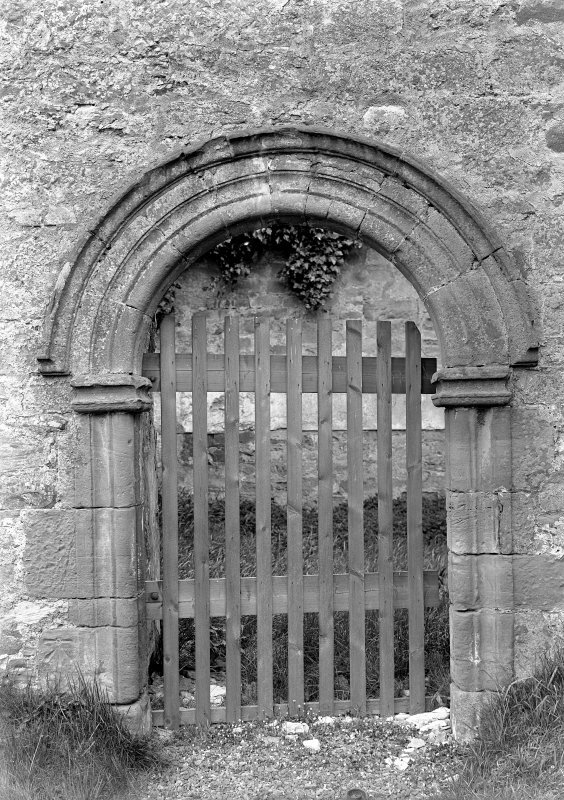 Deatil of entrance to chancel. 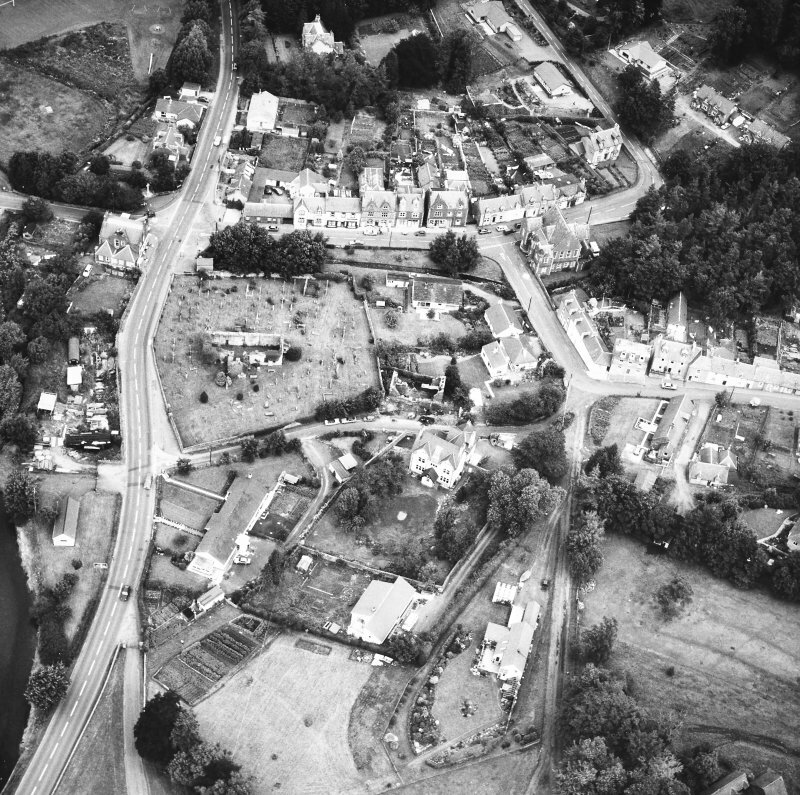 General oblique aerial view centred on the village, taken from the SSW. 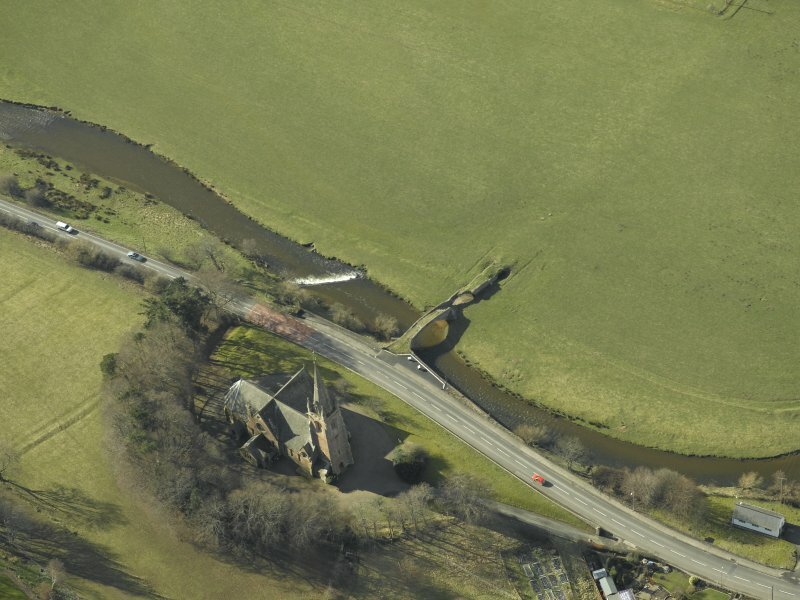 Oblique aerial view centred on Stow Church and old bridge, taken from the SSW. 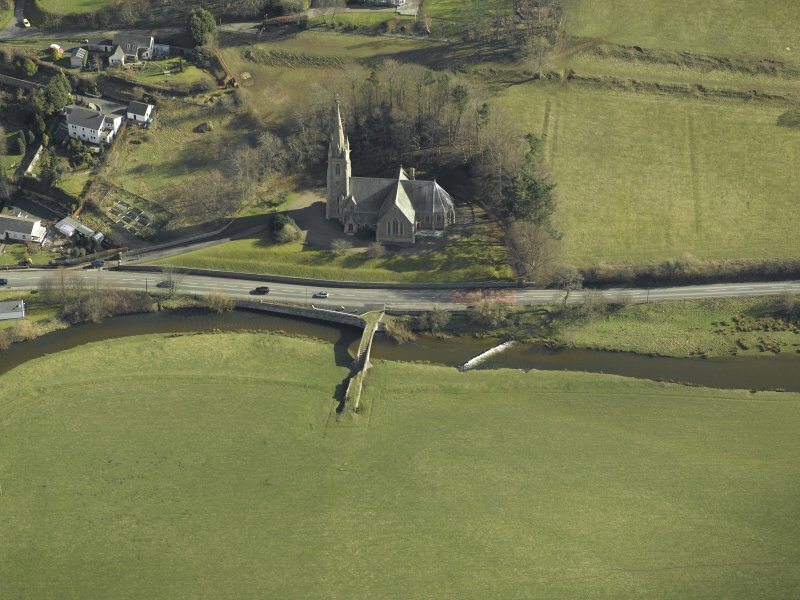 Oblique aerial view centred on Stow Kirk and Old Stow Bridge, taken from the W.
View from SE showing S aisle. 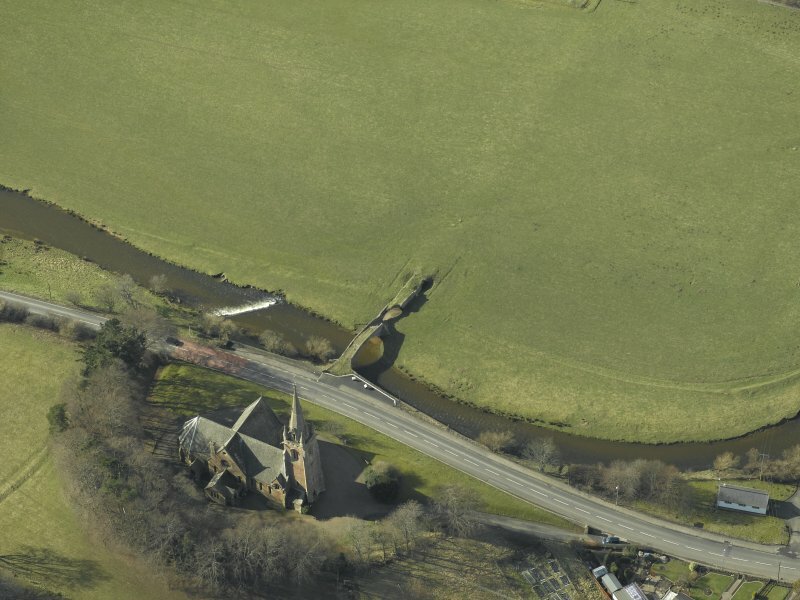 View from S showing S aisle. 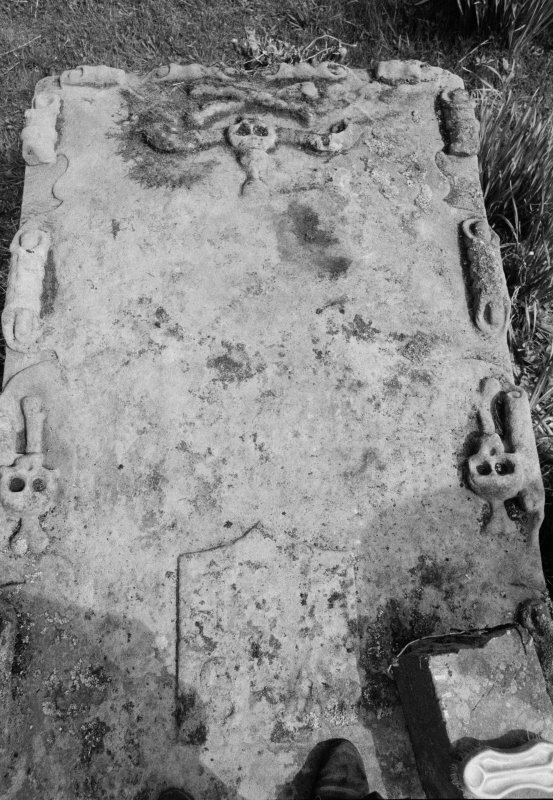 Detail of gravestone to Thomas Jacks and Barbara Johnston dated 1714. 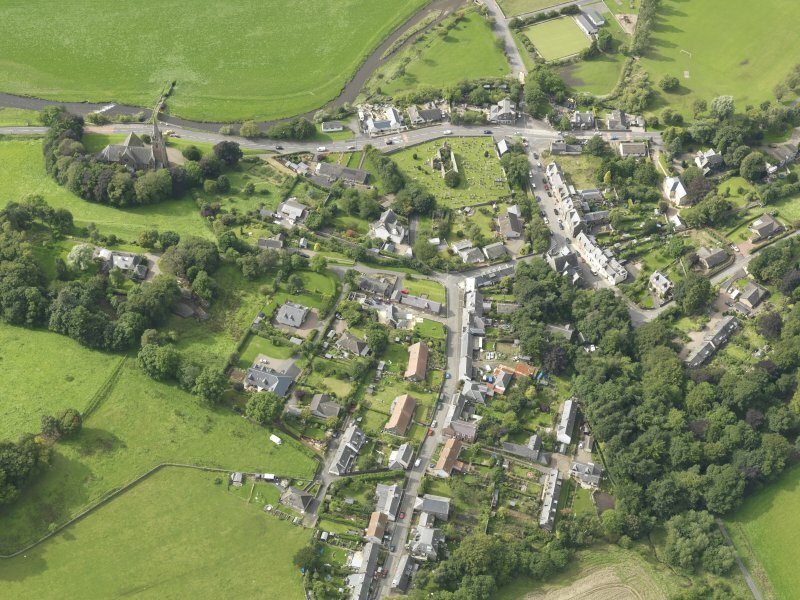 Oblique aerial view of Stow centred on Old Stow Kirk, looking ENE. 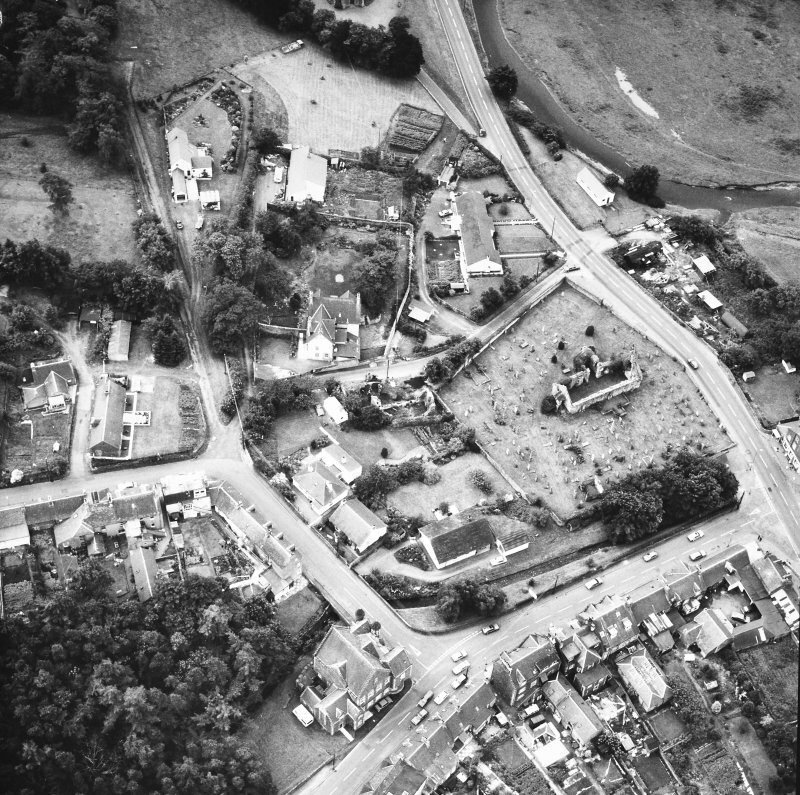 View from W of W end of church showing belfry. 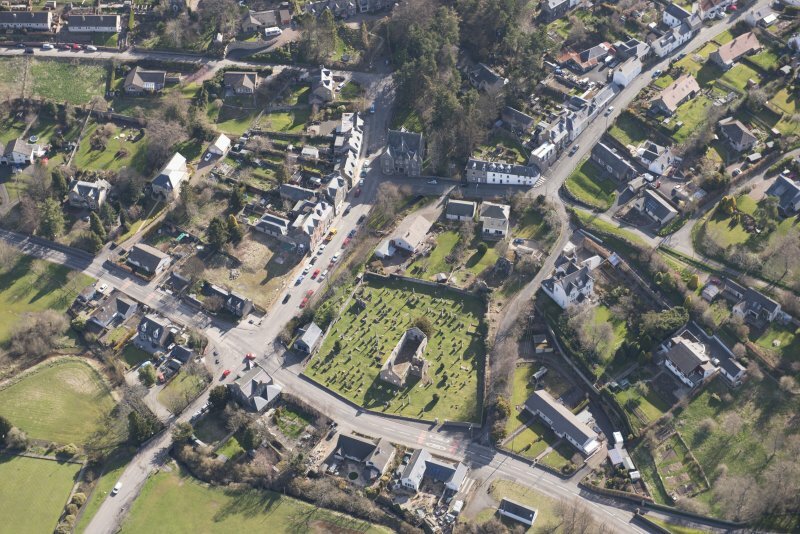 General view from E showing part of burial ground. 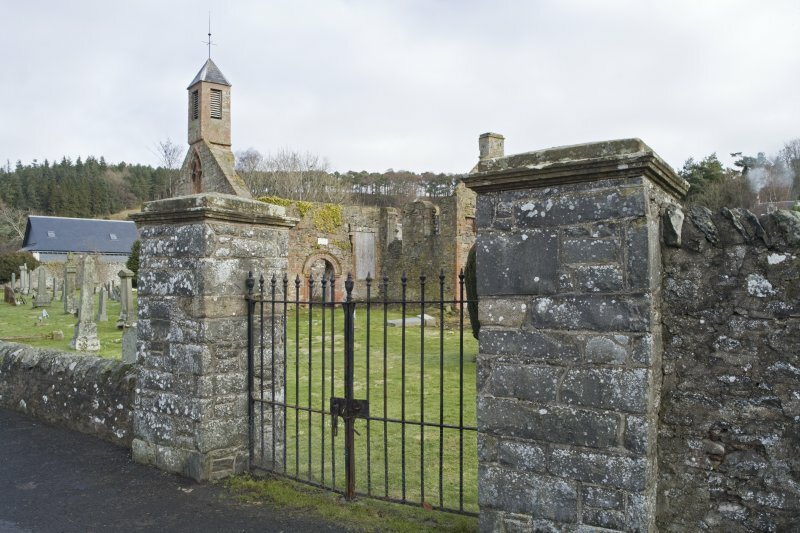 Detail of gates at SW corner of burial ground. 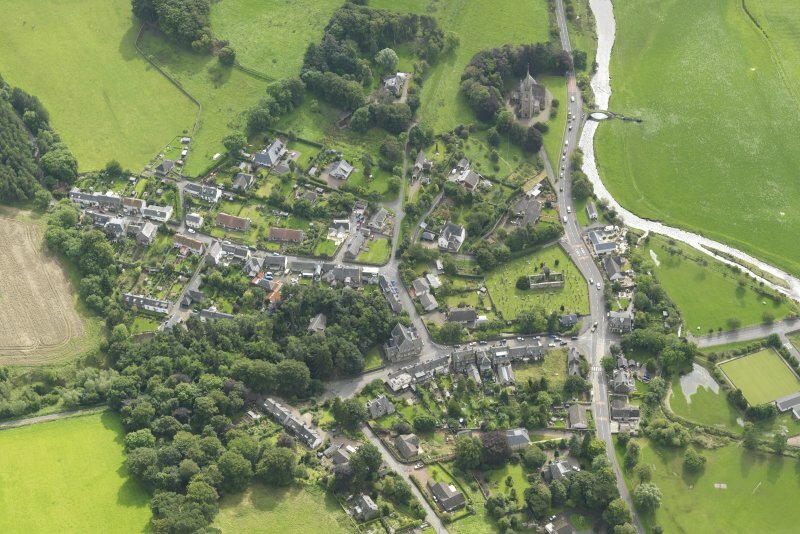 Oblique aerial view centred on Stow Kirk and Old Stow Bridge, taken from the SE. 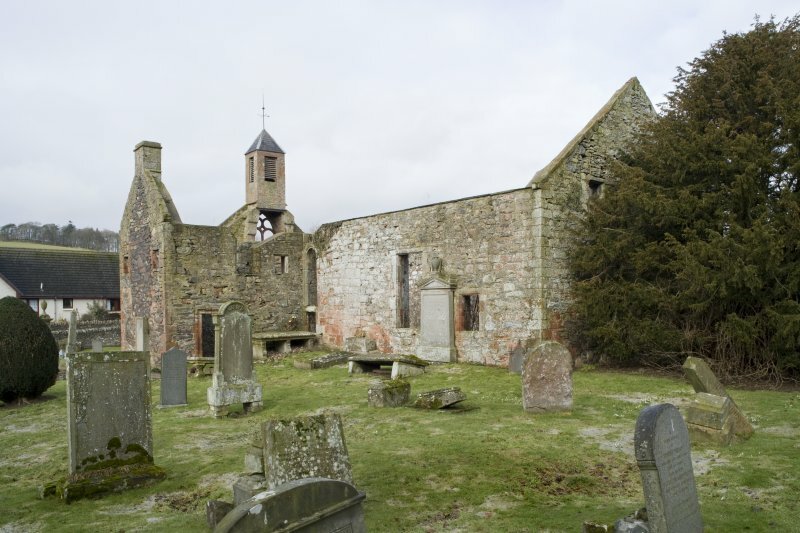 For successor and present church of St Mary of Wedale Stow Kirk at NT 4590 4438, see NT44SE 27. 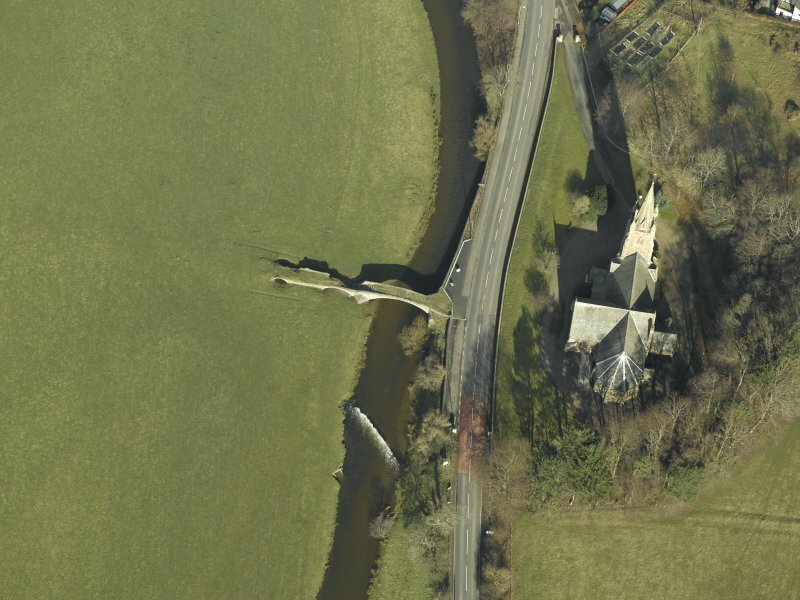 The old parish church of Stow has been disused since 1876 when the present church (St Mary of Wedale parish church - at NT 4589 4436) was opened, and is now ruinous. 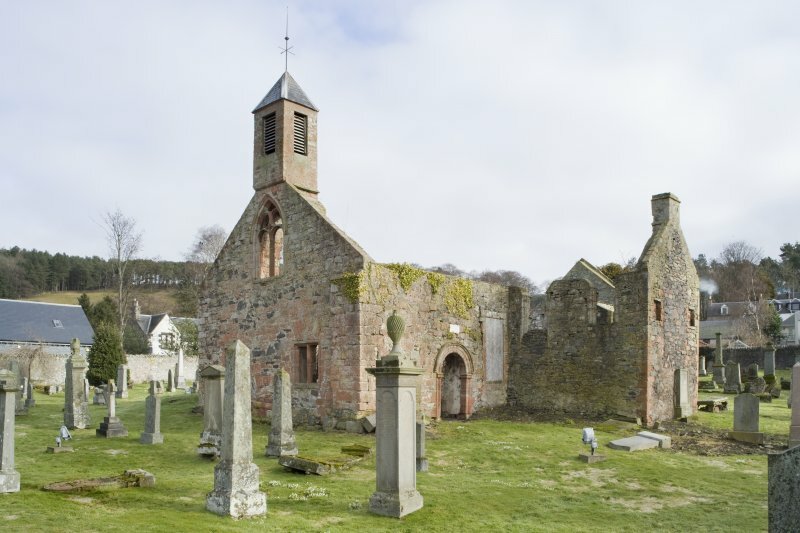 It appears to have been a late 15th century building, comprising a nave and chancel, which was largely rebuilt in the 17th century, at which time the S aisle was added (an outside stair leads to a doorway dated 1660). 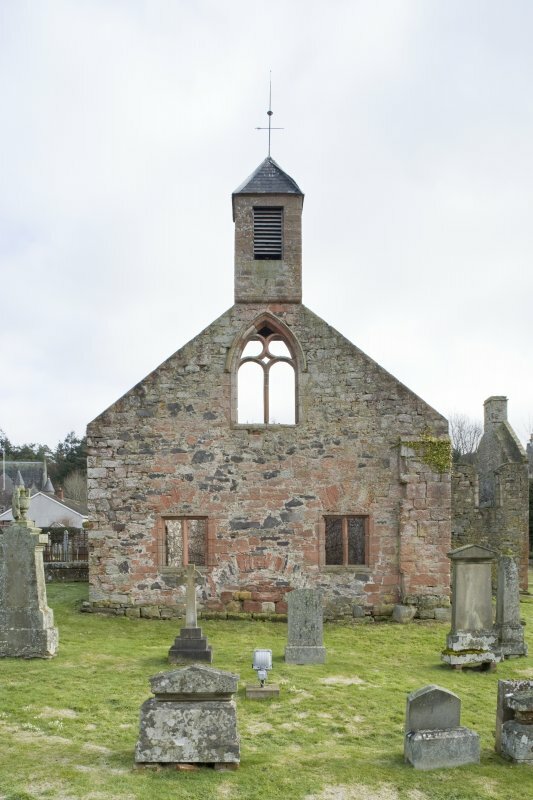 In the W wall are two mullioned windows; one is dated 1771. 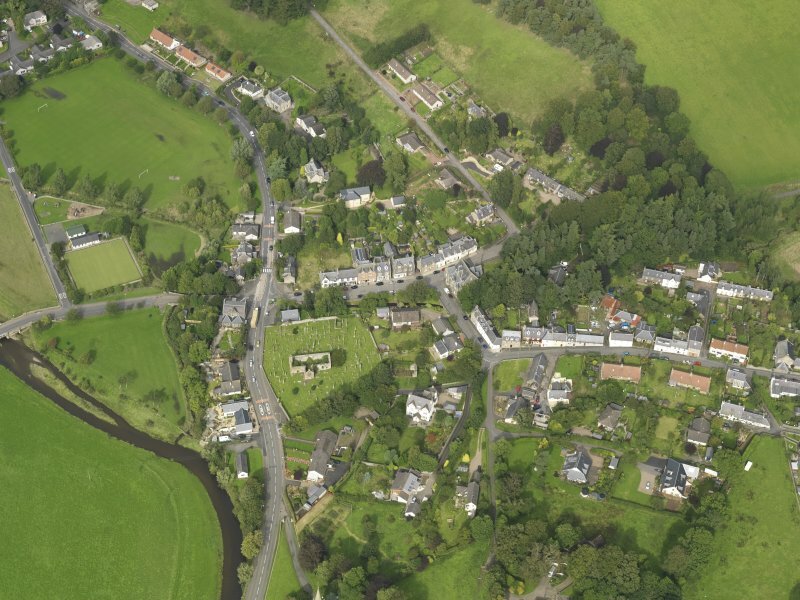 Above them is a double light in 17th century style. 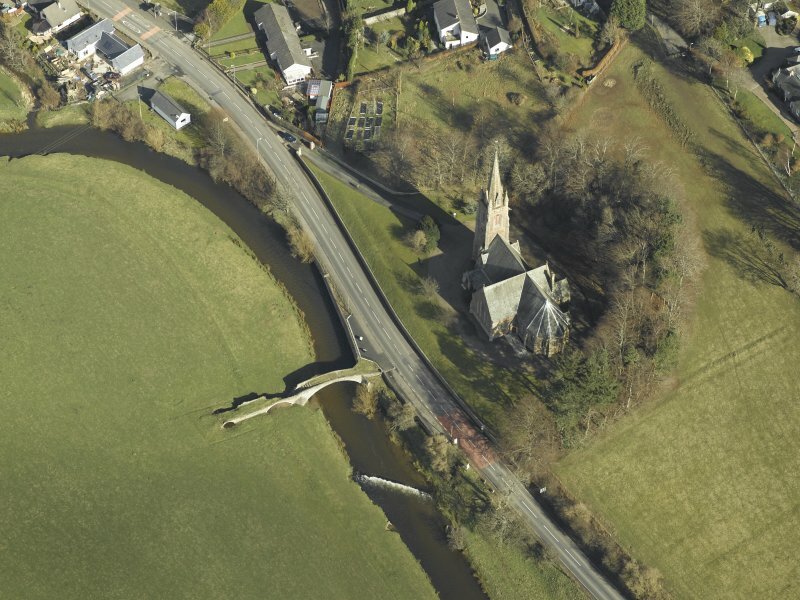 Some of the red ashlar of the 15th century church can be seen on the N nave wall, and it projects buttress-wise at the SW corner where there is a section of the old base course. 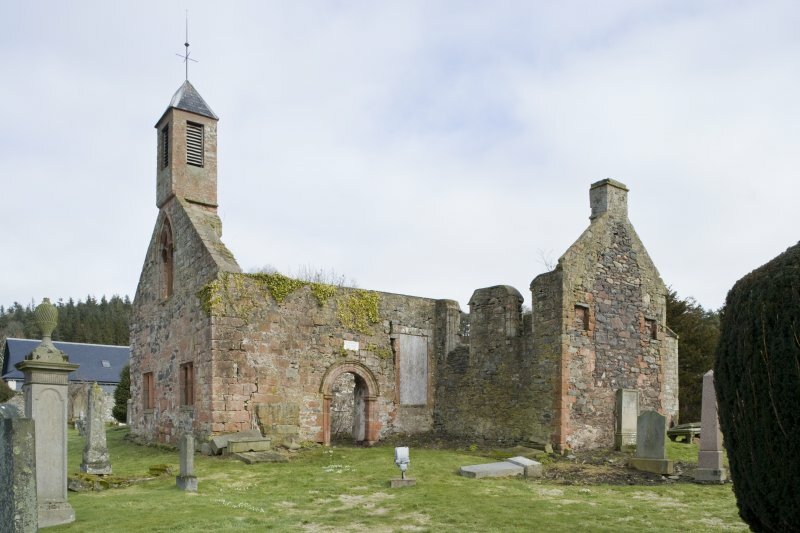 The 17th century work is a mixture of rubble and freestone. 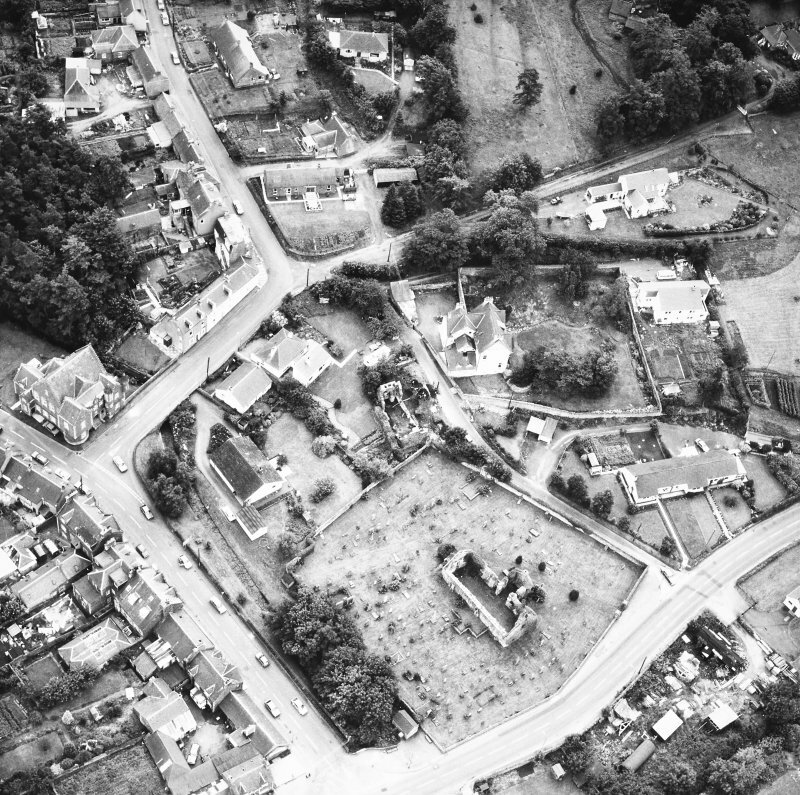 RCAHMS 1929, visited 1915; G W S Barrow 1973; C McWilliam 1978. 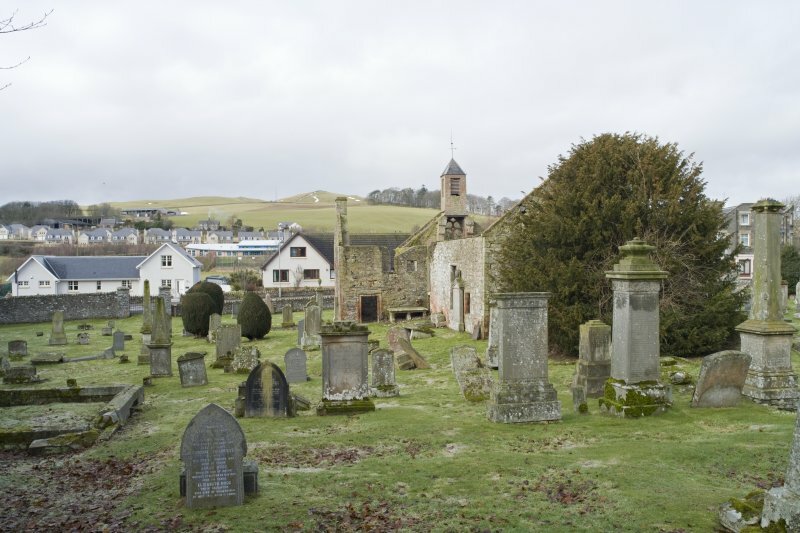 Recording of gravestones in Stow Old Churchyard by Mrs Betty Willsher in 1986. 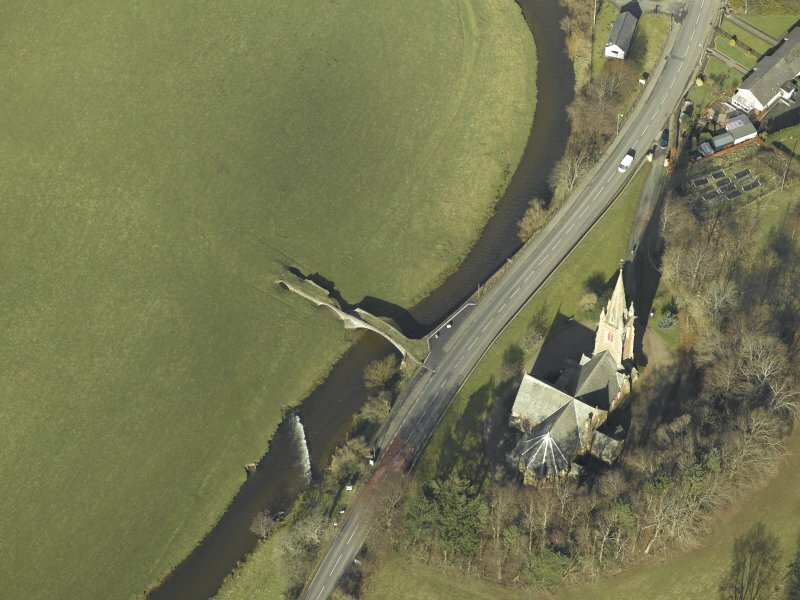 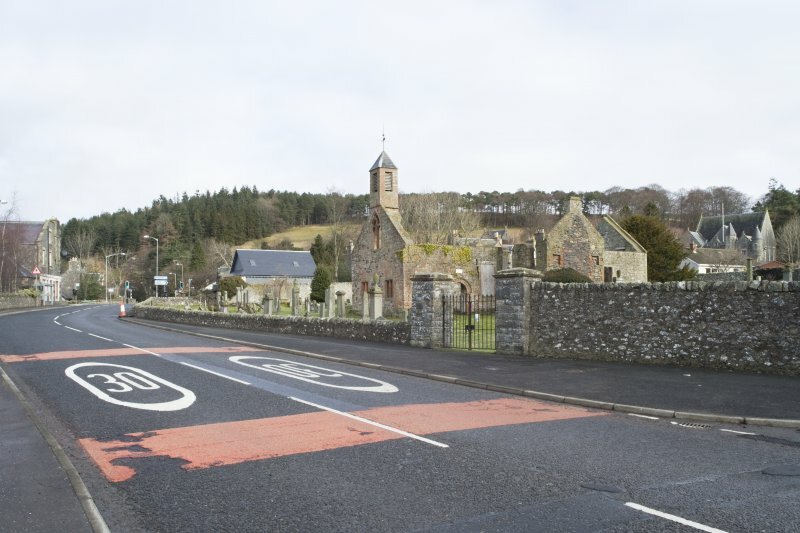 Scheduled Monument Consent was granted on 27 January, 2015 for masonry consolidation to St Mary's Church, repairs to the wallhead capping and levelling and reseeding of the interior including relaying of the graveslab at the western end of the church interior. 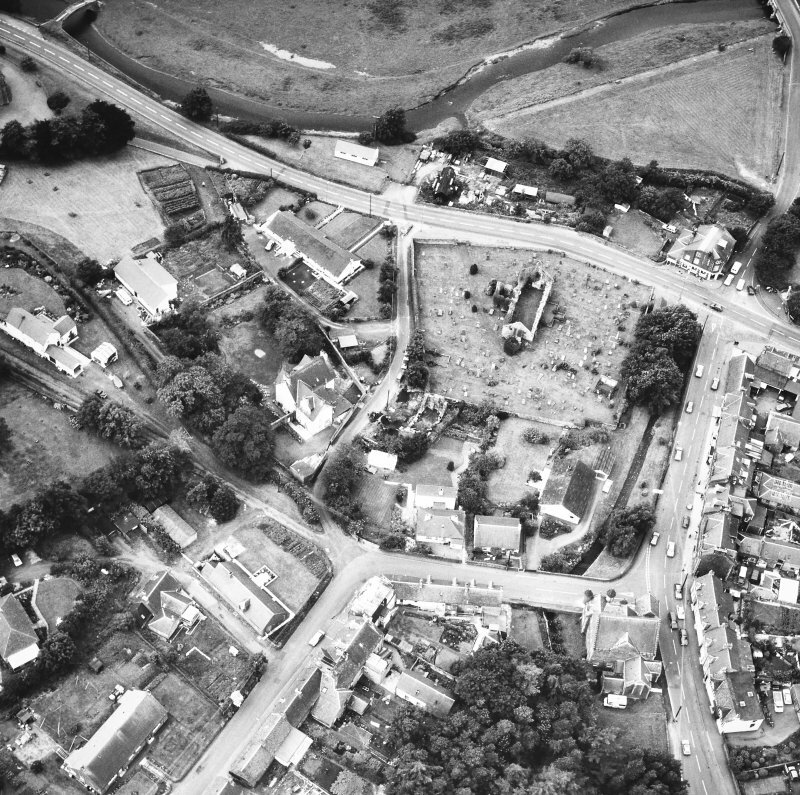 This work was conducted by Stow Community Council.